The Limerick Institute of Technology has just received approval of their level 8 programme in Precision Engineering (PE). This enables 2nd level school leavers to complete their education up to honours degree level in Precision Engineering for the first time. The PTMA is delighted with this approval as it enables both new entrants and existing precision engineering workers to complete their education to honours degree level. This helps to ensure that Irish Precision Engineering companies will continue to be competitive both nationally and internationally. It is also an incentive for young people to consider Precision Engineering as career as they will be able to obtain a honours degree in this important industry sector. Being able to achieve an honours degree level award is also helpful in attracting young people to consider a career in Precision Engineering. For further information regarding the honours degree in Precision Engineering please contact Ciaran O’Loughlin, mail ciaran.oloughlin@lit.ie. The Irish PTMA wishes to convey its congratulations to the Bracalente Manufacturing Group, which celebrated in September a very successful first 10 years in China at its plant in Suzhou, Shanghai. The Irish PTMA is leading a consortium for the recognition of a new apprenticeship in Precision Machining and Quality Control. It is expected that this new apprenticeship will be approved in 2019. For further information about the apprenticeship, please contact Ciaran O’Loughlin, mail ciaran.oloughlin@lit.ie. 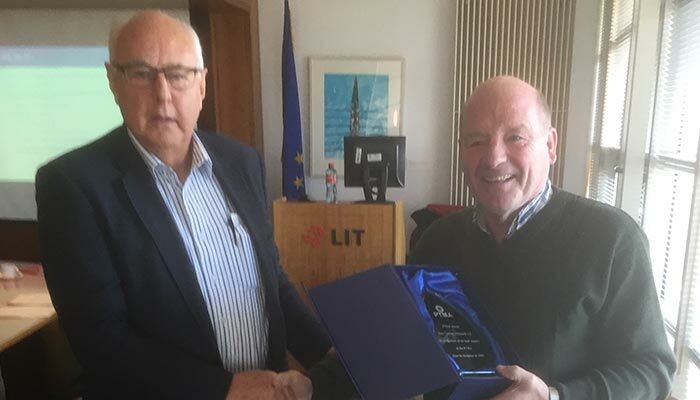 At the PTMA Quarterly meeting on the 29th September 2018 PTMA member Tom Creaven was presented with a plaque recognising his excellent service to Irish Precision Engineering Industry and to his 21 years of PTMA membership. Tom has been been a PTMA member since 1997. PTMA Chairman Charlie Coughlan as he hands over the plaque to Tom Creaven Formtech Ltd. The inscription: PTMA Award, Tom Creaven, Formtech Ltd. In recognition of his loyal support to the PTMA since its inception 1997. Last Thursday, 31 of May, tariffs on steel (25%) and aluminium (10%) for the EU, Canada and Mexico was announced by American President Donald Trump. It didn´t come as a surprise as the tariffs have been on the agenda since the beginning of this year. So, what impact can we expect on the Swedish industry in general and in the Swedish steel industry in specific? Uddeholm and SKTC are partners working together in The Metal Cutting Research and Development Centre of Chalmers. When asking Mr Robert Gustafsson, CPRO at Uddeholm, what he thinks about it he says that US industry might be harder hit by the heavy tariffs than their Swedish steel suppliers. ”All of the material Uddeholm is delivering is very high-grade steel, and these kinds of materials can be difficult for customers in the US to find internally in America”, says Gustafsson. Uddeholm works with different alternatives to deal with the tariffs. As many other Swedish steel companies they have applied for exemption from the tariffs as they produce a type of steel used in press tools and is world leading in its kind ”There is not a single mobile phone in the world been produced without having been in contact with steel from Uddeholm” continues Mr Gustafsson. As this being a fact Uddeholm has also applied for exemption on a product level. Another alternative to deal with the steel tariff is of course to increase the price of steel for the US market with 25%. And this will probably hit hard at the US manufacturers as they have little choice of alternative to the material from Uddeholm. 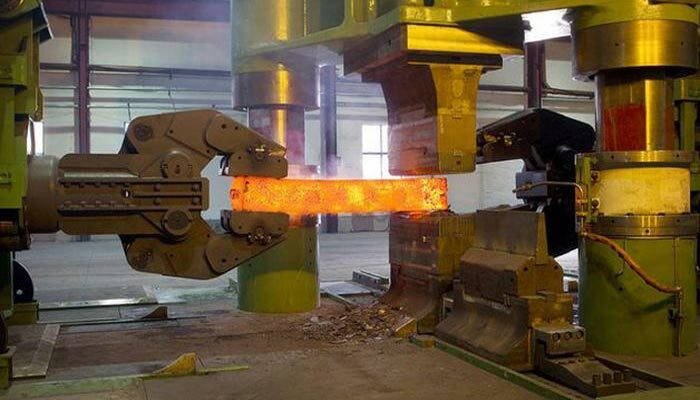 ”We can´t see that US Steel industry has the full capacity to produce this kind of high-grade steel and we hold 11 different patents to protect us from competition” says Robert Gustafsson as a final statement. Well, Swedish steel companies export more than 80 percent of what they produce to more than 140 countries, making it important for Swedish producers that tariffs be kept to a minimum. Therefore both Swedish prime minister Stefan Löfven and business minister Ann Linde are deeply engaged in discussions and calling on the European Union to impose retaliatory measures. “We cannot watch passively in the EU as the US brings such heavy tariffs,” Ms Linde said recently in an interview with Swedish Television. SKTC will keep a close eye on the development of how the tariffs will affect our members. During the SID Congress in Limerick Ireland June 10th-15th we hope to share information and knowledge with our international colleagues in this matter. A personal question of mine is in what ways the US Steel and manufacturing industry really benefits from the tariffs if what Uddeholm says is mirroring a true picture?